Thanks to the blogosphere and the emergence of computer generated synth pop, the opportunity is present for anyone to sit in their bedroom and create a song that will quickly catch on with the masses. While some fail in their attempts, there are those that succeed in creating carefully crafted songs that inspire their listeners. 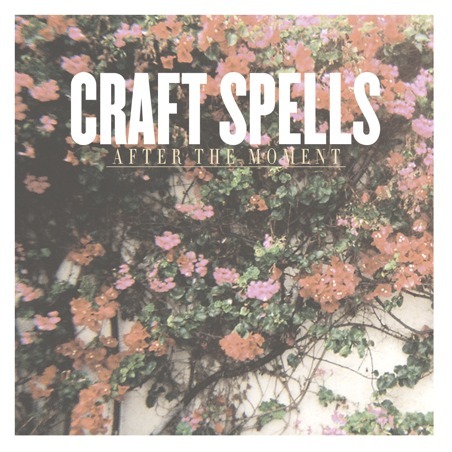 So is the story of Craft Spells, a group which originated in 2009 with Seattle native Justin Paul Vallesteros. After Craft Spells‘ first single, Party Talk, gained internet buzz, the group (Vallesteros and guitarist Frankie Soto) picked up a few new band members and a record label. Once complete, the band released, After the Moment, a smooth, electronic, lo-fi melody that’s as dreamy as it is memorable. A love song with its musical arrangement firmly rooted in 80s pop, After the Moment conjures nostalgic emotions of teenage love and naive bliss.